As part of the Copenhagen Accord, developed countries committed to mobilize US$100 billion a year by 2020 to address the needs of developing countries. Among the Parties to the United Nations Framework Convention on Climate Change (UNFCCC), and in the context of the Green Climate Fund in particular, there is a strong expectation that a substantial share of this finance will come from private sources. Yet how realistic is this, particularly for Least Developed Countries (LDCs), which are among the most vulnerable to climate change impacts? A large amount of private finance does flow into climate-related activities: US$243 billion for mitigation-related activities in 2014 alone, by the latest estimate (Buchner et al. 2015). Yet as little as 8% of that was invested outside the country where they originated – far less in LDCs. Private finance flows for adaptation, meanwhile, are often difficult to track or, in many cases, even to identify (Atteridge and Dzebo 2015). Unlike renewable-energy or energy-efficiency investments, whose contributions to mitigation can generally be quantified in a straightforward manner (e.g. as avoided emissions from fossilfuelled power generation), adaptation is very context-specific. An action that reduces vulnerability in one case (e.g. building a flood protection wall) can be useless, lead to maladaptation, or even exacerbate vulnerability in another context. Moreover, despite extensive outreach to businesses by the UNFCCC and governments, and multiple efforts to identify opportunities for private finance to support adaptation in developing countries, a compelling business case for large-scale adaptation investment, particularly in LDCs, has yet to be made. As depicted in Figure 1, the framework focuses on the interaction between enabling environments, mobilization, and delivery mechanisms. It examines not only how investment can occur, but also different ways in which adaptation objectives might fail to be met. Efforts to create an “enabling environment” might not actually mobilize additional finance, for example, or the investments might cause maladaptation or worsen vulnerability. A developed country incentivizes private investment in adaptation in a developing country – for example, by providing loans or setting up public-private partnerships. 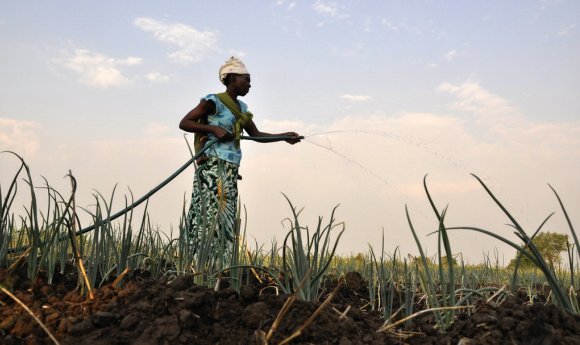 A developing country adopts targeted measures to incentivize private investment in adaptation within that country – for example, by lifting import tariffs on supplies and equipment to build irrigation systems. A developing country creates an enabling environment for private investment in general, such as infrastructure improvements or sector-wide incentives, which also happens to facilitate/encourage adaptation activities. The private sector creates an enabling environment for private investment in adaptation; for example, insurers or investors may require companies to “climateproof” their operations. The objective in all four scenarios is the mobilization of private finance for adaptation. This is fairly straightforward in public-private partnerships, when a government provides seed funding, or in other situations where a project is jointly financed by public and private actors. Yet it can also occur indirectly, and the causal links are not always clear. Indirect mobilization may involve financial instruments as well, but more often entails non-financial interventions, such as favourable policy and regulatory conditions or public investments (e.g. in infrastructure) that influence downstream private investment. However, efforts to create an enabling environment by no means guarantee that additional private finance will be mobilized. The third step is delivery of private finance. It is possible that an enabling environment stimulates additional private investments (directly or indirectly), but those funds are not directed to a sector or location prioritized for adaptation. For example, a business might be incentivized to build a dam, but use it only to produce hydropower or supply water for commercial plantations, with no adaptation benefit to vulnerable local farmers. Or a company might invest in flood protection around its facilities, but leave the surrounding area unprotected. Finally, even private investments that are meant to contribute to adaptation can actually increase vulnerability – for example, if the new dam ends up reducing the water available to local farmers, or forces people in the area to relocate. Similarly, flood barriers in one place can exacerbate flood risks elsewhere, as they push the water out in another direction. What ‘counts’ towards the US$100 billion? They must meet what we call “political” criteria for adaptation finance. Pauw et al. (2015) identify 10 expectations of adaptation finance stated in UNFCCC outcome documents: that it be adequate, predictable, sustainable, scaled up, new and additional to official development assistance; that it provide improved access; that it be balanced with mitigation, prioritized to particularly vulnerable developing countries, mobilized by developed countries, and transparent. They must meet criteria for monitoring, reporting and verification (MRV), such as those set by the Organisation for Economic Co-operation and Development (OECD), so they can be tracked along with public flows. Much of the climate finance discourse presumes that private finance will follow the course indicated by the flow along continuous line between green boxes shown in Figure 1. In short: private finance is mobilized, contributes to adaptation, and counts towards the US$100 billion. Yet there is little evidence that the private sector will be able to contribute significantly to adaptation finance. Moreover, a large share of the flows that do exist would be very difficult to align with MRV requirements (Atteridge and Dzebo 2015). How can the domestic private sector be incentivized to contribute to adaptation activities – particularly the small and mid-sized enterprises that are a key part of many developing countries’ economies? How can tax collection capacity be improved in order to generate more public revenue for adaptation activities? How can rural finance and microfinance be scaled up to provide adaptation finance for the poor and especially to women, who typically have less access to conventional credit? How can the transaction costs of remittances be reduced to facilitate even larger flows to LDCs? Finally, it is important to look at private adaptation finance in the broader context of global adaptation needs and priorities – i.e. increasing resilience and reducing vulnerability – not just in terms of individual transactions that may contribute to adaptation. This will require a much deeper conversation about the effectiveness and efficiency of climate finance, with a strong focus on the needs and priorities of developing countries. This discussion brief was written by Adis Dzebo and Pieter Pauw as part of SEI’s Climate Finance Initiative. To learn more, visit: www.sei-international.org/climate-finance.